*As seen on The Crystal Press I have been trolling all of my go-to sites for months looking for an affordable matching set and was having the hardest time! I was seeing them on everyone from bloggers to musicians and was so frustrated wondering WHY CAN’T I FIND ONE! I finally snagged this Zara duo on slash and burn at the their end of the season sale and it is truly the most comfortable outfit ever. I asked Cath if it just looked like I was wearing my pajamas (cause it definitely feels like it) but she of course helped me find a way to make it presentable for public wear. 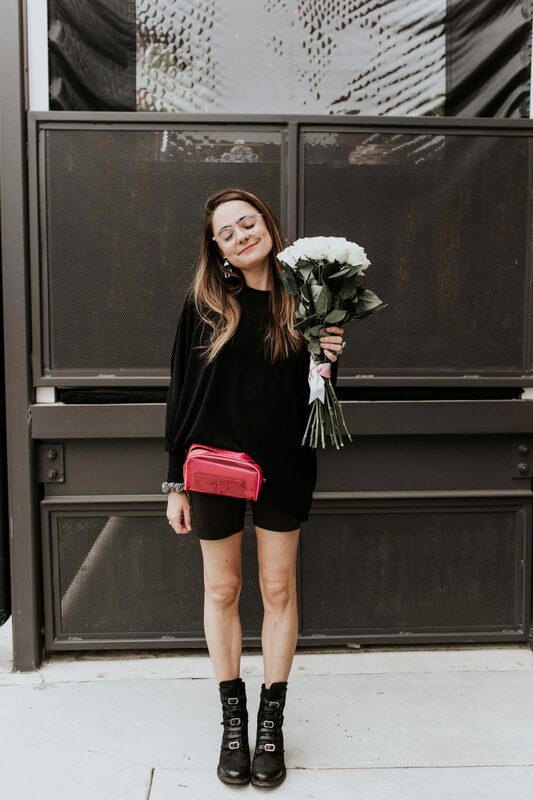 Unfortunately, it is sold out now, but I encourage you to find your favorite leisure pieces and throw on a nice dainty heel and a statement necklace for an outfit that you can wear on and off the couch! Think of it as your updated version of your favorite Juicy Couture jumpsuit from 2004. I did find this ASOS jumpsuit that has the same vibes as this wonderful Zara set. I also have my eyes on a few Free People sets to add to my spring wardrobe that are not-so-pajama-y. Love the Gemini Set (on sale!) & Lakeview Set. ASOS also has a great selection of what they call Co-Ords and I love this Organza number.